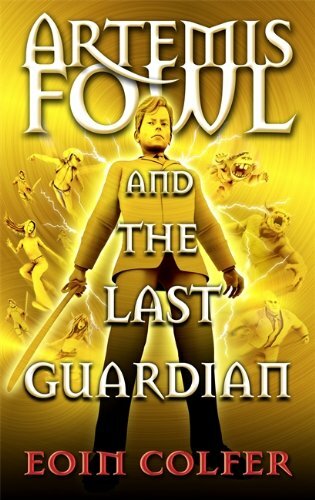 MICHAEL A. VENTRELLA: I am pleased to be interviewing Eoin Colfer today, whose “Artemis Fowl” books I’ve enjoyed for years (although I have not read THE FINAL GUARDIAN – I know, I know, it’s been out for a while now so I have no excuse)… Other titles include THE WISH LIST, THE SUPERNATURALIST, and the “Legends” series for younger readers. Eoin’s books have won numerous awards including The British Children’s Book of the Year, The Irish Book Awards Children’s Book of the Year and The German Children’s Book of the Year. The BBC made a hit series based on his book “Half Moon Investigations”. 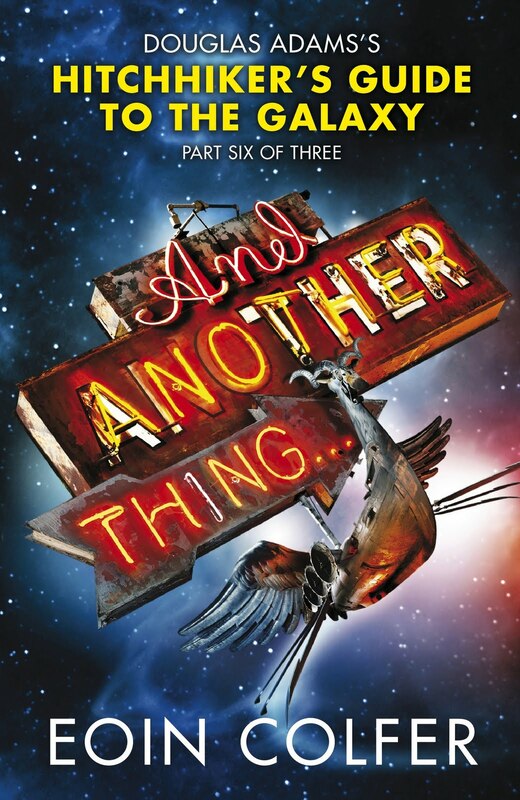 In 2009, Eoin was commissioned by Douglas Adams’ estate to write AND ANOTHER THING…, the concluding episode of the HITCHHIKER’S GUIDE TO THE GALAXY series, which became a worldwide bestseller. Eoin also writes crime novels featuring Irish bouncer Daniel McEvoy. The third and final book in his WARP sci-fi series will be released in Summer 2015. Eoin is currently serving as Ireland’s Children’s Laureate and wears the medal at all times, even in the bath. First: Will there finally be an Artemis Fowl movie? It seems that it has been in the planning stages for many years now… What’s the latest scoop? 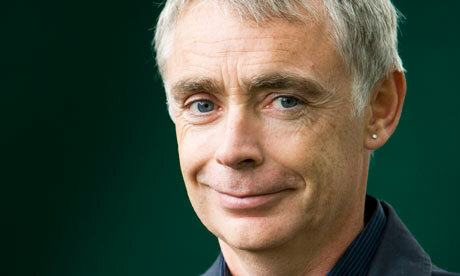 EOIN COLFER: The Artemis movie has been in the planning stages for almost 15 years. There have been dozens of scripts, several directors and even casting search through Ireland. As far as I know the studios finally have a script they are happy with and it has been sent to a select few directors. So fingers crossed one of them will sign on the dotted line. VENTRELLA: Where did the inspiration for Fowl come from? COLFER: I have always been drawn to the dark side — or at least the characters who inhabit the dark side. I find these guys make interesting subjects. I have always preferred Captain Hook to Peter Pan and Hannibal Lecter to Clarice Starling. The specific inspiration for Artemis came from a photo of my brother Donal in a suit when he was making his first Communion. There was a devilish look on his face gave me the idea for a child criminal mastermind. VENTRELLA: Many juvenile series never allow their characters to age or change. When creating Fowl, did you consider a long-term development where he gradually matured and realized some of his past mistakes or did that sort of evolve on its own? COLFER: To be honest, I had a vague idea that I would like to do a series if anyone bought the first one. After that it went in stages. First I signed for three. Then three more, then two singles. So each adventure was pretty much standalone, like the Bond books. I realized that the thread would have to be Artemis’s development and so I built in a little aging into every book. Sometimes a week went by between adventures, sometimes a year. By the end of eight books, Artemis had aged just over three years. VENTRELLA: How much of the series was planned out in advance? COLFER: I plan each book just before I start, but I do keep a file open for the next book into which I jot random ideas as they occur and hope that my subconscious knits them together. This actually works sometimes. COLFER: That is a good idea. I might steal that. I am definitely finished with Artemis but I have always said that there are a few characters that could carry their own book. I was thinking of the Fowl Twins as they grow older and more nefarious, they could discover the fairy world all over again. COLFER: The major problem was my own insecurity. As soon as I agreed to it I wondered ‘why the hell did I do that?’ as did most of the internet. I never worried about the continuity of the storyline as Douglas had already invented the perfect solution: This is simply another parallel universe. It was his Bobby waking up in the shower solution, except more scientific(ish). VENTRELLA: In AND ANOTHER THING… Arthur takes a backseat to Zaphod, who seems to be the main character in much of the book. How did you decide who to center the plot around? COLFER: I have always loved Zaphod. He is so selfish and narcissistic, and exactly the kind of character who is a hoot to write. Also I thought the idea of celebrity for being outrageous worked really well in a modern context. COLFER: My favourite books are numbers 1 and 2. But I have a soft spot for the radio shows and I Was lucky enough to be allowed to play the cow in the South Bank staging (maybe they were trying to tell me something). I liked a lot of things about the movie. I thought the cast was wonderful. I wish they had put some of the original TV cast in somewhere though. Also at the end of the day, it wasn’t funny enough. VENTRELLA: Will there be a seventh book? If not, why not? COLFER: When Douglas’s family asked me to finish off the series they said that Douglas had wanted to end it more positively, and also they wished to bring the series back to the forefront of UK sci-fi. I don’t think it had ever been away but when AND ANOTHER THING came out, the entire series went back into the charts so I felt I had done what I set out to do. 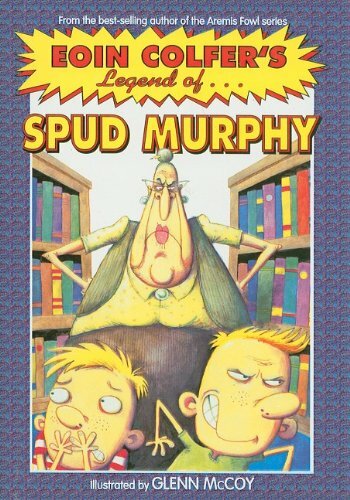 I don’t consider my book the official ending, I consider it a tribute that reminded people of this amazing series. I think someone with a profile should do one every five years or so, but not me. One is a tribute but two is trying to take over and no-one could ever replace Douglas Adams..
VENTRELLA: How is writing for graphic comics different? What limitations are there? COLFER: I write them pretty much the same way with my writing partner Andrew Donkins, then he slices the story into picture sized chunks. I am spoiled really. 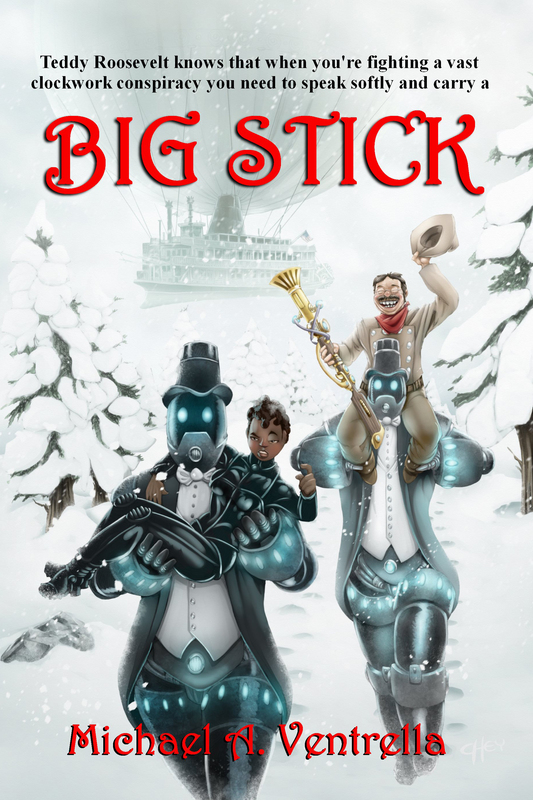 I love graphic novels and we are doing our first original one this year. VENTRELLA: I’m working on a steampunk novel now, so I am interested in your new WARP series. What intrigued you about this story? COLFER: I was inspired by a very old ITV series called “The Tomorrow People”. I loved the ides that people could arrive from the future armed with a bit of extra knowledge that would be a terrible advantage in the wrong hands and so of course I put it in the wrong hands. And as a reader and writer I have always loved Victorian London. VENTRELLA: Why do you think steampunk is popular now? What is it that makes it appealing? COLFER: I think these things go in cycles. It was magical fantasy for a few years, then vampires, then dystopia and steampunk is rising now. You just have to write what you write and avoid jumping on bandwagons because that wagon will have moved on by the time you get there. 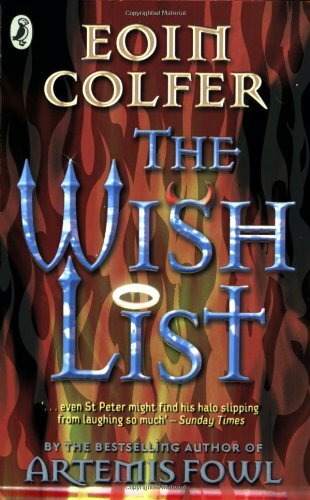 I was very lucky that my first magical book, THE WISH LIST, came out just before the “Harry Potter” boom and so I was in the right place and the right time. Thanks JK. COLFER: My parents were both writers. My dad was a noted historian and my mother has a women’s group who write stage plays, so there was no escape for me. COLFER: My very first page to be published was an illustrated crossword for an annual when I was in college. I was paid £10. It was the last time I would ever be paid for artwork. VENTRELLA:How much of writing is innate? In other words, do you believe there are just some people who are born storytellers but simply need to learn technique? Or can anyone become a good writer? COLFER: That is a hard question. I think most writers really have to work at it. It took me 13 years of constant writing to get to a stage where I was worth publishing. There has to be some spark there I think to elevate the books to another level and I see that in other writers all the time, but never myself. Reading my own books during public readings wince and I even edit as I go. COLFER: I do an outline, nothing too serious, a few pages maybe and then jump in. Recently I find myself writing out of order and doing whatever excites me straight away. COLFER: It is nearly always character with me. I think of an interesting protagonist and build the story around them, but very often it is the supporting characters who tend to take over. COLFER: I think it is a good idea for the first book or two to stick to an area with which you are familiar or have some facility. After that throw off your shackles I say. COLFER: I try to layer info as I go, and let the character’s personality speak through his/her actions. No-one wants ten pages of exposition, unless you can do it like Conan Doyle and make it a story within a story. COLFER: I want to streamline and pare back the language. Less is more where writing is concerned unless it is specifically part of the character or narrator’s personality. 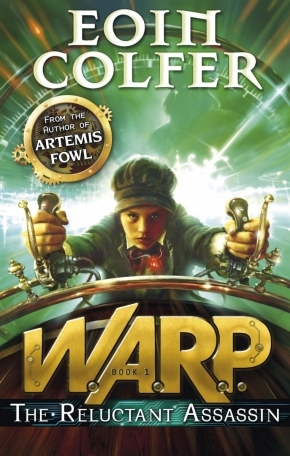 COLFER: I think I found it hurtful when some reviewers thought Artemis Fowl was a dangerous book for children to read, as I thought it was quite tame. Luckily that opinion has died off mostly. I also felt wounded when I was accused of writing the HITCHHIKER for a payday when actually I wrote it as a labor of love and took a large pay cut. COLFER: I think sc-fi will have its day again. Maybe Star Wars will bring it back. I think Dr. Who certainly helps. COLFER: That depends on the author. I think short stories are really difficult to write and not a practice ground for novel writing as people might think. It is up to the individual I think. COLFER: I was a bit condescending towards it, but I have a good friend who sells thousands on Amazon and keeps all the cash, so I am opening my eyes to its merits. But I think like traditional publishing, it is swamped by product. COLFER: Small presses are vital for publishing quality works which might not have a shot in the blockbuster world. I have two books with Barrington Stoke who do gorgeous print runs and I hope to do more with them. I could probably make a few bob more going with a big publisher but I love what Barrington do so much. I will have those editions forever. COLFER: I would tell them to work those first 50 pages till their fingers bleed and their brains ache, then find an agent. COLFER: I was told by a person in the industry once that I should never write fiction about minorities as I would limit my audience. COLFER: A friend and co-writer once advised me to write the story that my brain could not keep inside for much longer. COLFER: I am editing the last WARP book which is coming out in June and working on a graphic novel with Andrew Donkin and Giovanni Rigaono. After that, IMAGINARY FRED, a picture book with Oliver Jeffers, comes out in October. COLFER: Freddie Mercury, Arthur Conan Doyle, Kate Bush, Kyril Bonfiglioli and Patricia Highsmith.